Ron Kaufman, the Founder of UP! Your Service, is the world’s premiere thought-leader, educator, and motivator for uplifting customer service and building service cultures. Ron is a columnist at Bloomberg Businessweek and he has been featured in The Wall Street Journal, The New York Times, and USA Today. With powerful insights from working with clients all over the world in every major industry for more than two decades, Ron is an inspiration to leaders and managers in his high content, high-energy speeches and impactful, interactive workshops. He is rated one of the world’s “Top 25 Who’s Hot” speakers by Speaker Magazine. Ron is passionately committed to uplifting the spirit of service worldwide. Te learn more about Uplifting Service, watch this video. 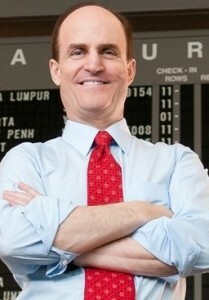 To learn more about Ron, please visit www.RonKaufman.com and join him on Facebook and Twitter. To learn more about UP! Your Service, please visit www.upyourservice.com.